Matt Colville is a teacher and writer from New Zealand. 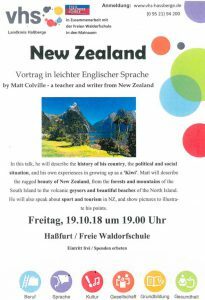 In this talk, he will describe the history of his country, the political and social situation, and his own experiences in growing up as a ‚Kiwi‘. Matt will describe the rugged beauty of New Zealand, from the forests and mountains of the South Island to the volcanic geysers and beautiful beaches of the North Island. 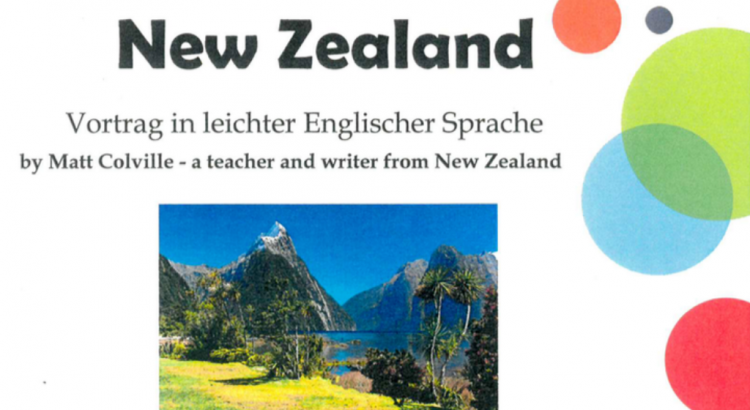 He will also speak about sport and tourism in NZ, and show pictures to illustrate his points.